The classic lifestyle apparel brand that focuses on higher end casual wear for young adults, Abercrombie and Fitch has all of your day-to-day pieces you need to function in fashion. Their trademark slogan says it all- ‘Casual Luxury’- and that’s all you need to know for the high-quality denim, hoodies, tops and so much more for men and women. They’re much more than the male models on shopping bags- they have the highest quality materials for the body-conscious wearer. Abercrombie & Fitch Canada has sale going on tonight where you can save $25 off every $125. Discount will be applied automatically at checkout. Plus, save 40% to 60% off entire site. Online price reflects discount. Exclusions apply. This sale ends tonight, December 26 2018. 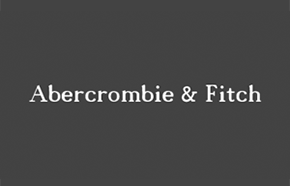 Click here to start shopping at Abercrombie & Fitch Canada. 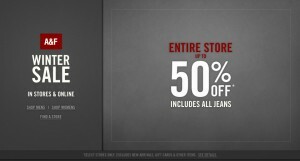 Right now at Abercrombie and Fitch enjoy savings in-store and online up to 50% regularly priced items! For the next two days, ending December 23rd, get your favourite hoods for only $30!